If you’ve never met my mom’s cat, you are missing out. 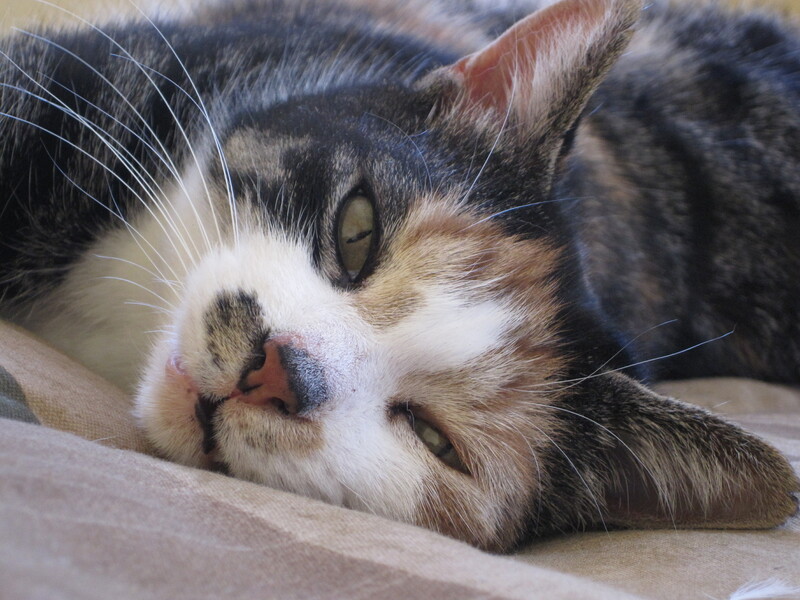 Named Calico, but most likely called “Cali” or “Caliqueno”, she is the true master of the house. She might not strike you as such a force to be reckoned with, but don’t let her fool you. Cali has a very strict morning routine, and heaven forbid that you interrupt or change it. I was watching the farm for January while my parents were away on a trip, and mom warned me that Cali would expect morning snuggles and affection before I could get on with my day. I didn’t believe her, and the first few days Cali was uninterested, expecting that my mother would be back and that she wouldn’t have to make due with a sub-par replacement. But after about 3 days, she relented and would climb up onto my lap after breakfast, expecting attention before releasing me to the day. 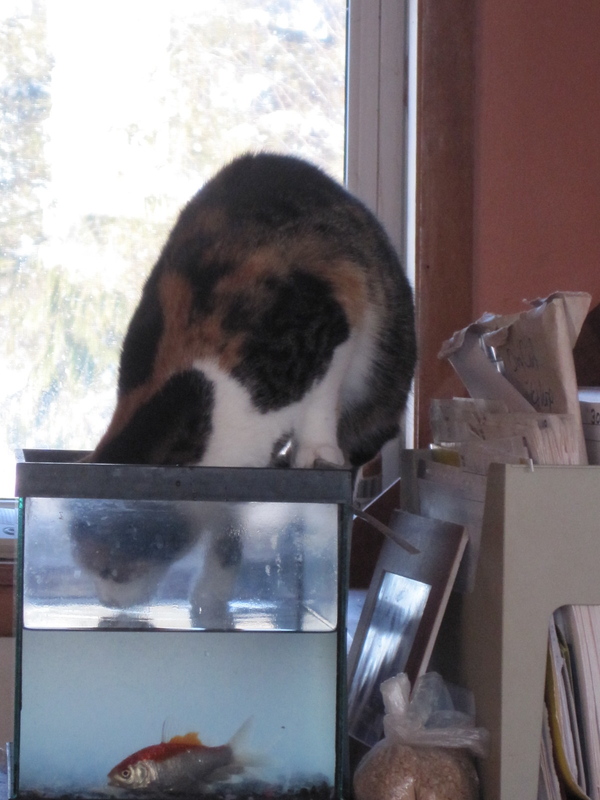 Cali also tends to my parent’s fish, checking their water every day for contamination and making sure it is adequately aerated. These are working fish, so their living conditions are important and part of their union contract. Our yard and entire property really, reap the benefits of having Cali on the farm. She polices the property for voles and the occasional mole. In the spring, summer and fall, I would guess that Cali probably disciplines about 5-7 daily. Sometimes she is so good, she makes herself ill… And of course, she offers at least one of her treasures on the front steps to my mom, because as the master of the house, it is Cali’s responsibility to feed her. You may wonder why my parents have a house cat. I certainly did, since all of my attempts to make the many barn cats that I adored, house cats were always shunned. But… My sister and I had both just moved away from home, and I think my parents (not that they’d ever admit it) were feeling the emptiness of the nest, and fortunately for them, at the same time there had been a litter of kittens in the barn who needed extra special attention, so Cali… became a house cat.